The National Flood Insurance Program (NFIP) has been a subject of debate for years in Congress, gaining temporary funding multiple times without any permanent solutions. Recently, representatives across political lines have shown interest in finally reaching a long-term resolution, according to an article by HousingWire, although roadblocks remain ahead of a fast-approaching funding deadline. 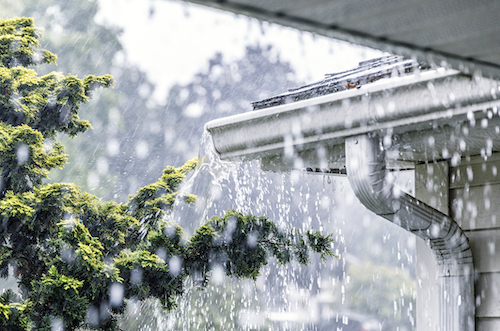 The NFIP provides many renters, property owners and businesses with affordable insurance in order to “reduce the impact of flooding on private and public structures,” according to the Federal Emergency Management Agency’s website. In turn, the program also requires communities to approve regulations for floodplain management and maintain those regulations. On Wednesday, March 13, The House Financial Services Committee held a hearing titled “Preparing for the Storm: Reauthorization of the National Flood Insurance Program.” The purpose of the hearing was to discuss the program and hear from experts on the issue, including Mabél Guzmán of the National Association of Realtors and Collin O’Mara of National Wildlife Federation, according to HousingWire. In her testimony to the committee, Guzmán estimated that the NFIP plays a role in 500,000 home sales each year and each of those home sales brings in $80,000 to the country’s economy, according to research done by the NAR. Although recognized as an important program for homeowners, the housing market and the economy, the NFIP has received 10 short-term extensions since 2017’s fiscal year, according to California representative and Committee Chair Maxine Waters. These short-term extensions have done nothing but “kick the can down the road” in terms of keeping the program sustainable. These issues have only grown as flooding events from severe storms have increased in frequency and severity throughout the U.S. Representatives on both sides of the aisle claim that they are ready to work together and find a solution, but conflicting views on the issue might end up leading to another temporary extension. Democrats want more government involvement in the program while Republicans want to reduce the government’s role and instead bolster the private market for flood insurance. The current funding for the program expires on May 31, 2019, giving legislators just a few months to reach an agreement and find a permanent solution for the program or else pass another temporary funding extension.